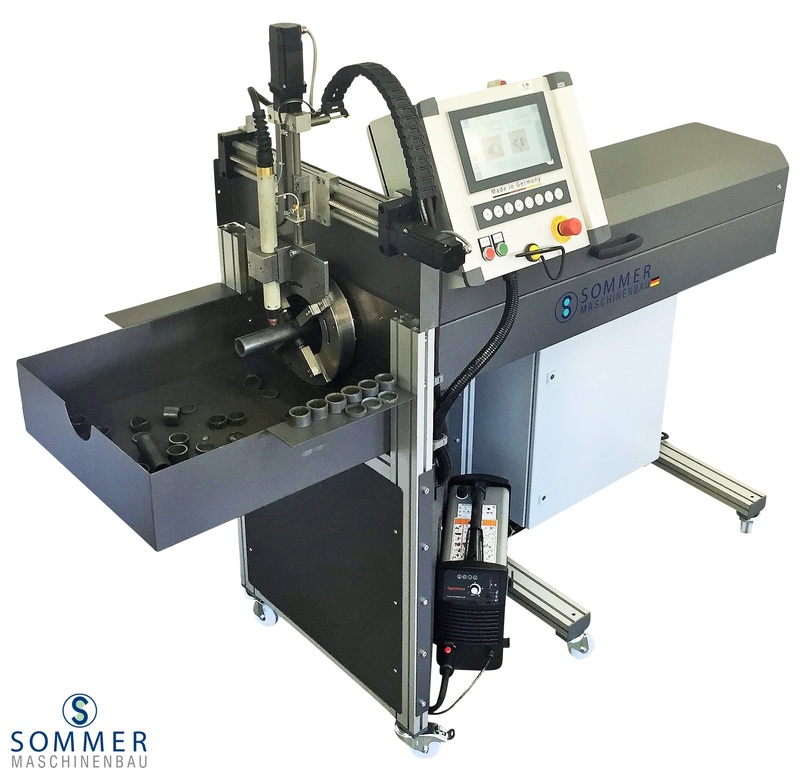 SOMMER Maschinenbau GmbH, a specialist and manufacturer of pipe bending machines, presents a new development in the arena of pipe cutting systems: DRAGON. The machine, available in the standard lengths of three and six meters, is suitable for cutting pipes or profiles up to 100 millimeter. The workpiece can be simply cut to length or be provided with a contour to function as a connecting piece. From the simple round hole, over square or oval holes to the complex recess, these geometries can be placed anywhere on the workpiece. The included software is installed on a separate PC and is easy to use. A variety of standard geometries can be called up. Own cutting geometries can be obtained, for example using a STEP file and positioning it on the workpiece. It is also possible to multiply the geometry up to the maximum length. After finishing, the software generates a cutting job by using the integrated CAM interface. A transfer of this job is carried out for example via USB or (wireless) internet access. The system is equipped with a plasma source HYPERTHEM POWERMAX 45 (XP) as standard. Alternatively, other plasma sources can also be installed. The workpiece can also be marked by the new functions of the burner. The integrated control with 10.1" touch display corresponds to the latest generation. Strong and precise drives all four axes guarantee process-safe operation. The plasma tube cutting machine DRAGON is also financially an interesting alternative to a much more expensive tube laser. In addition, the system is characterized by its precision, flexibility and easy handling.